Oh, wow! I was trying to get better at posting regularly to my blog, and somehow went from January to August without a single post. Yikes! 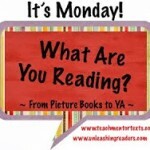 But, I am getting back on the horse,as they say, and here is my new post! 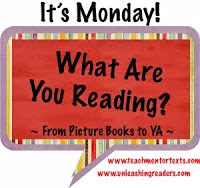 I was traveling this past week and picked up two books on my Summer Reading list. While visiting family in NYC, I stopped by one of my favorite indie bookstores, Books of Wonder, on West 18th Street. What a wonderful bookstore! 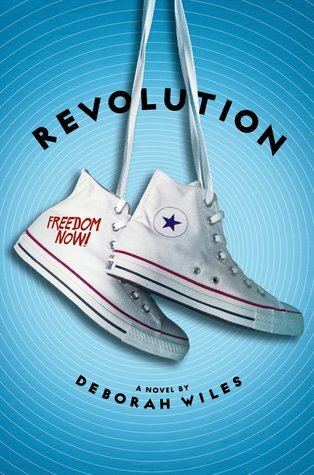 I picked up Revolution by Deborah Wiles and am loving it.It’s a lot of fun to read books about my “growing up years” that is the new Historical Fiction! Bring it on! Although I did not grow up in the South, the book brings back many memories of growing up during the 1960’s. I love the idea of a “Documentary Novel” and am enjoying reading the quotes and informational text tidbits embedded in the narrative. 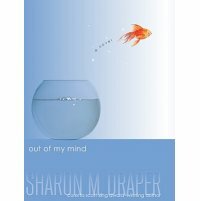 I finished Out of My Mind, by Sharon Draper. This book deals with “otherness” and social challenges for children with special needs and is very accessible for my 5th graders. I had a number of students in mind for this book as I read it. I like the way Sharon Draper is very clear on who her audience is for this book and keeps true to the upper elementary reader. Melody is a character who stays with you after the book is finished. I am looking forward to presenting this book as a book club option for my students in the second half of the coming school year. Revolution was interesting, and I think with the Common Core that we might see a lot more books that combine fiction with facts, like Fish Finelli. Hope you feel inspired to post regularly! 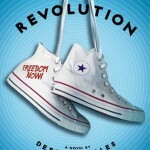 One nagging thought I have as I read and thoroughly enjoy Revolution is, “Who is this book written for?” I am looking forward to reading it with kids and hearing from them. Thanks for your response! Great choices! I really liked Out of my Mind and was glad that the author didn’t choose to sweep in with a miraculous fix to the problem with the competition at the end. Made it feel like a much more realistic book. I so agree, Katie! I think it makes it more real for kids, and ultimately more satisfying. Thanks for yuor response!